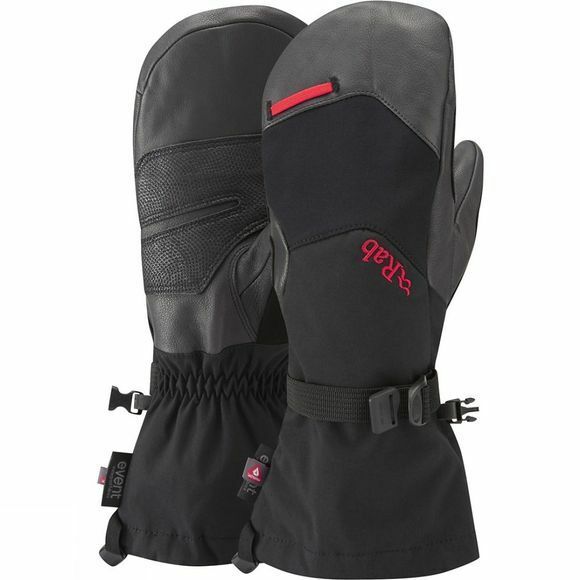 Rab's Icefall Mitt is designed for climbing and mountain use in cold and wet conditions. It has an eVent waterproof insert and PrimaLoft insulation for warmth. Internal finger pockets aid your dexterity while Pittards Armortan Digital leather across the palm provides durability and grip.